Although you may not realize it, simple activities that you take for granted – such as charging a purchase to your credit card or paying your monthly bills – all have an impact on your credit rating. Unsecured debt and revolving credit are two examples of the wide variety of financial information that makes it onto your credit report. Neither unsecured debt nor revolving credit is automatically negative. The way you manage these accounts is what determines whether these debts have a positive or negative impact on your credit rating. Revolving credit allows you to make purchases now and pay for them at a later date. Credit cards and home equity lines of credit are two examples of revolving credit. Revolving accounts carry a spending limit. As you make purchases, you reduce the amount of credit available to you. When you pay off the debt, the account “revolves” back to its original limit. Unsecured debts are loans or lines of credit that do not require collateral. In the event you default on your agreement with the creditor, the creditor cannot seize your property as payment without going to court and getting a judge's permission to do so. 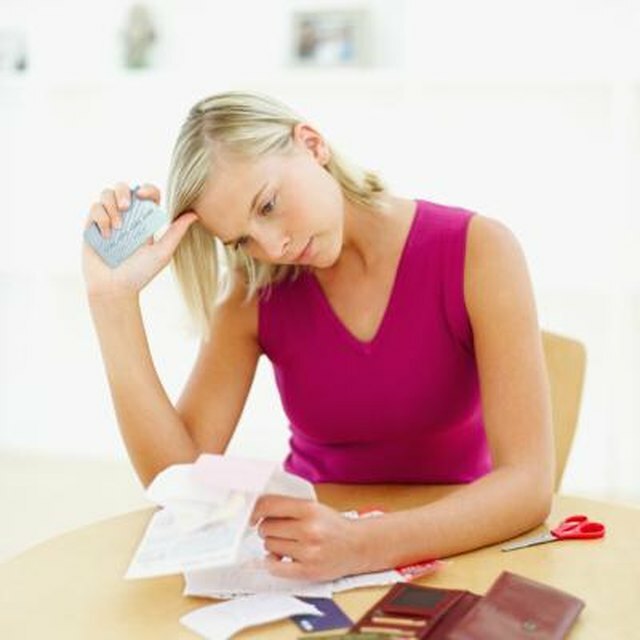 Certain forms of revolving credit, such as some credit cards, are also unsecured debts. A late payment on an unsecured or revolving debt carries serious consequences for your credit score. An unsecured credit card debt is a good example of this. If you make a payment more than 30 days late, your credit score could drop by anywhere from 60 to more than 100 points. There is no way to pinpoint exactly how much a late payment on any type of account will hurt your credit. The other information on your credit report affects the impact a single negative entry has on your scores. In general, however, the lower your credit scores are, the less damage a late payment will do. Credit damage you sustain via a revolving or unsecured debt doesn't linger on your credit report forever. The Fair Credit Reporting Act restricts most negative entries to a reporting period of seven years and 180 days. Both revolving and unsecured creditors have the right to sue you for payment and, if they win the lawsuit, the damage your credit sustains can last a lot longer than the seven-year reporting period. A civil judgment resulting from a lawsuit will show up on your credit report – and lower your credit score – for the amount of time your state permits creditors to enforce judgments. Judgment enforcement periods vary, but some states permit creditors to enforce judgments for up to 20 years. If you pay off the judgment, however, the credit bureaus delete it from your record after seven years. In most cases, neither revolving nor unsecured debts are inherently negative. If managed properly, these accounts can actually help you improve your credit score. Revolving credit is particularly beneficial. The reporting period that determines how long a revolving account remains on your credit report does not begin until you close the account. As long as you keep the account open, its positive payment history enhances your credit scores indefinitely. The different types of debt you carry accounts for 10 percent of your credit score. Thus, carrying both revolving credit and unsecured debt benefits your credit rating by demonstrating that you are well-rounded financially and capable of successfully managing different varieties of debt. Fox Business: What Is Unsecured Debt? Equifax: FAQ – How Long Does Information Stay on My Credit Report?